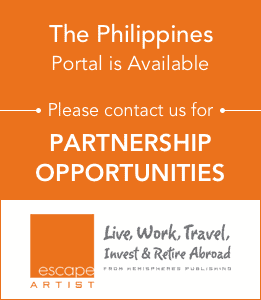 Due to the poor state of the public transport system in the Philippines, most expatriates living there either drive themselves or have a car with a driver. If you are only going to be living in the Philippines for a few months, then your best option is to hire a car with a driver. This doesn’t cost much more than a standard car rental in western countries. If you are going to be living there for a longer period, or permanently, then you will need to decide whether to buy a car and employ a driver, or acquire a local driver’s license and drive yourself. The choice is not as easy as it might sound, because driving in the Philippines can be quite dangerous, and many expats decide to employ a driver to avoid the stress of being behind the wheel. In the main cities of Metro Manila and Cebu, which experience horrendous traffic jams during rush hours and wet weather, many expats who can’t avoid being on the road during peak periods employ drivers to avoid wasting the hours when stuck in traffic. Behind the wheel there is little you can do in a traffic jam, but in the back seat you can be catching up on emails or taking a nap if it’s been a long workday. A driver in the Philippines costs only $10 – $20 a day, or even less if you decide to go for a live-in driver (but you’ll have the added cost of providing board and lodging for a live-in driver). Most Filipino businessmen have live-in drivers – who sometimes serve as bodyguards as well – but expats generally opt for live-out drivers because most western cultures are not used to having drivers living with them. Another advantage of having a driver is that the driver can deliver you directly to your destination and avoid the parking problems that plague every urban area from big cities to small towns. Finding somewhere convenient to park can be a big problem in the Philippines because very few buildings provide sufficient parking for visitors. Even the car parks at big shopping malls fill up by early afternoon at weekends. Whilst you are attending to your business, your driver can find a nearby backstreet in which to wait, and when you are ready to go, you call him on his cellphone and he will come and pick you up. Having a driver also gives additional freedom to your partner. Whilst you are working, your driver can be taking your partner to the shops, or running errands for you both. Despite the advantages of having a driver, many expats still prefer to drive themselves for reasons of privacy, or simply because they like to be behind the wheel and not behind a driver. Filipino drivers, generally speaking, are undisciplined and will not follow road rules unless they know they are being watched by a traffic enforcer (a type of traffic policeman that is employed by local municipalities and have the power to issue traffic tickets). There is no national traffic code. Traffic rules are set by local authorities and enforcement is very haphazard. Although basic traffic rules are the same everywhere (e.g. drive on the right, overtake on the left) many cities have different rules regarding right-of-way and turning at intersections. A large proportion (nobody is sure how many) of drivers have never taken a driving test or read any traffic rules. They have acquired their license through “fixers” who have bribed local officials. In the past, many licenses were fake, using stolen licenses with the driver’s photograph changed – but the current licenses are harder to counterfeit. Roads are generally in poor condition with many potholes (often causing drivers to swerve suddenly), lane markings and signage is often confusing, and traffic lights often break down. Pedestrians crowd the roads in many small towns and barangays, and do not understand that vehicles can’t stop instantly. Old people have a habit of walking out in front of vehicles and raising their hand, expecting it to stop. Schoolchildren are not taught road safety at school and step in front of moving vehicles without appreciating the danger. The roads are congested with many motorcycles, tricycles, and bicycles often swerving in between vehicles or traveling on the wrong side of the road (known in the Philippines as “counter-flowing”). Cyclists – and many motorcyclists too – ignore road signs, believing that they apply only to cars and trucks. Traffic fines are low (usually $10 – $40) and there is no points system whereby traffic offences result in loss of points and eventual loss of license, as there are in many western countries. Therefore there is little incentive for some drivers not to commit traffic offences. For the above reasons, driving in the Philippines is something of a free-for-all, which some expats liken to driving fairground dodgem cars. You have to keep guessing what other drivers are likely to do and never assume that other drivers are going to give way because technically you may have the right of way. That’s not to say there are not good drivers in the Philippines. There are. But the number of bad and overly aggressive drivers on the road means you have to expect the unexpected. Always assume that the other drivers know nothing about traffic rules and drive defensively as possible. However, at intersections in urban areas, defensive driving may not work. The concept of right of way is largely unknown amongst drivers in the Philippines, and at many intersections drivers will pull out in front of traffic even if that means having to brake heavily to avoid a collision. In many parts of the metropolitan areas, traffic is so heavy that it is impossible to find a gap in traffic to enter – you have to do the same and push your way in, trying to avoid a collision, otherwise you could be stuck at junctions for hours. Some crossroads are signed “First to Stop, First to Go,” but be aware that few Filipino drivers actually stop at stop signs. The sign is usually interpreted more as “First to reach the intersection, first to push through.” But be aware that in some cities there is also a “Last Chance to Avoid Collision” rule that means if you collide with another vehicle, you will be at fault if you had the last chance to avoid the collision, even though technically you may have had the right of way. Most expats say that it takes at least two weeks to adjust to the crazy traffic conditions in Philippines cities. After that, a few even say they enjoy it, describing the experience as “never boring.” But most expats agree that only the most experienced drivers should attempt driving outside of the cities at nighttime. The reason is that provincial and rural roads are badly lit and there are many unlit vehicles – especially tricycles and cyclists – that ply those roads after dark. Often the riders are wearing dark clothes and it is impossible to see them until sometimes it is too late. Unfortunately most traffic enforcers are not active at night, and the few that are seem to have little interest in stopping vehicles with no lights. In addition, Philippine roads are constantly under repair, but at night-time the barriers around excavations are not lit. In many places there are not even any barriers or signs – just large rocks or branches left on the road to mark excavations. In some part of the Philippines, the communist rebels known as the NPA (New People’s Army) are active and may stop motorists at roadblocks to ask for money (or at worst kidnap drivers). So even the most experienced drivers must check with people with local knowledge before driving in a new area. And in any part of western Mindanao, driving at night is completely off-limits for any expat driver, because of the presence of Muslim rebels. (Most countries’ travel advisories recommend that expats do not travel in any part of Mindanao at any time of the day). Finally, any article about driving in the Philippines would not be complete without mention of the thousands of corrupt traffic enforcers on the roads. These men in uniform target both locals and expats, but always ask for more money from expats who are perceived to be richer than the locals. They congregate at intersections and other locations where traffic signage is confusing or unclear and stop motorists who have inadvertently breached a local traffic rule. Expats will invariably be told the fine is 2000 pesos (even though often it is less) and that their licence will be confiscated until they pay the fine. The fine can only be paid after 24 hours at the City Hall of the municipality where the “offense” has occurred, so if you are traveling out of town, this could mean a long trip back to where you were stopped. The traffic enforcer will then offer to take cash from you instead of confiscating your license and not write a ticket. Locals are often able to negotiate a lower price to keep their license, but it’s much harder for expats to do that. 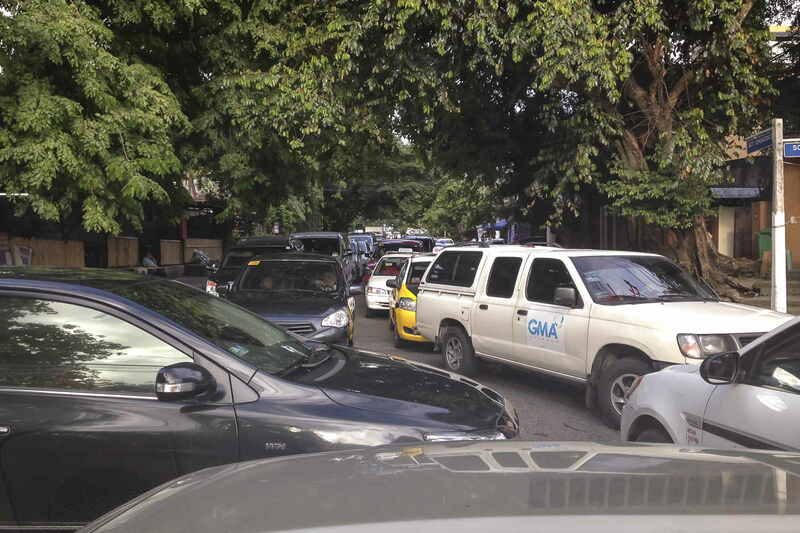 The traffic enforcer will often describe how long the queues are at City Hall, and the fact that it is hot with no air-conditioning during the day, to encourage the erring motorist to hand over the cash. The Government of the Philippines advises that giving cash to traffic enforcers is an offense in itself, and that motorists should always demand a ticket and take the time to pay the fine at City Hall. However, for expats, whose time may be more valuable than many locals, it is a difficult decision to make. The best solution is to refuse to pay the bribe, and if you don’t have time to go to City Hall yourself, send an employee or family member with a letter of authority to pay the fine and reclaim the license. You can use your foreign driver’s license for 90 days from date of arrival. If you plan to stay longer than 90 days and drive yourself, you will need a Philippine driver’s license. Original and one (1) photocopy of valid foreign license. If the foreign Driver’s License is not in English, the applicant should submit an Official English translation from the local Embassy of the issuing country. Original machine copy of valid passport showing the latest date of arrival in the Philippines of the foreign applicant. Duly accomplished Application for Driver’s License (ADL). If Foreign License is expired, applicant shall undergo written and practical examinations.